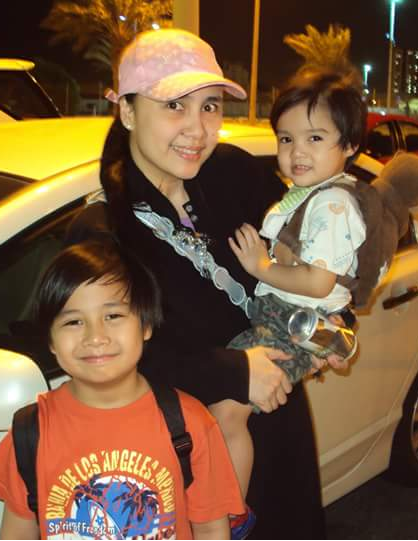 I am an Information Technology expert, I raise up 2 boys together with a lovely and supportive wife. I have lots of interest on off-grid concepts in the field of radiant energy, specifically applied to lighting. So, IT Strategist full-time, backyard experimenter part time, well, I’ll be honest, more time with the part time tasks!!! To give you an idea how much of an interest I actually have, I am experimenting and manipulating a very simple circuit for more that 6 years now, and even if it gives me good results already, I still want others to validate and improve on it. I have a working prototype as derived and improved upon from the off-grid forums as presented by unselfish and real people. To them I will also give my salute in my future posts, possibly invite them over. I will mention them one-by-one as part of my goodwill approach on my blogs. I need to do this as I am a “silent lurker” there, just extracting from their good posts, and improving on such. It is from this prototype that I will fill in almost all of my posts here, and hopefully one day it will be very clear to everyone that there is already such an approach, that even if coming from “unknown” sources such as us backyard experimenters and non-scientists, nobody can really dispute a working physical, tangible and reproducible system is not it? Are we not told long ago that the earth is flat? So why a globe now? So who decides for all our fates really? I strongly believe it is only us ourselves. As I want to get my hands dirty by backyard experimenting, when I found out about STEEM I can clearly see the freedom to express my endeavors on such highly secure and unique blogging environment. These very endeavors that I like to be sharing here is with an attached hope that it can greatly help not only in the growth of this wisely-conceived STEEM platform but also to the individuals who like me, just wants to share something that he/she really thinks is for the good of all mankind. I will also be posting IT tutorials here that I had learned over the last 20 years of hands-on Architecting, Consulting, Design, Implementation and Administration of I.T. services and platforms. To be very honest about this first post, I am even divided as a strategy between an IT post or an alternative energy post, because I really think I can do good at both haha. But I will just insert the IT posts from time to time, this I am decided hehe. In as much as I really, really wanna share lots of good-to-know and good-for-everyone stuff here, I also want to learn in return from people here who’s interest is also to uplift everyone in a positive manner. I am but a very simple person, I approach any problem in a simplistic and easy to understand manner. Lesser steps invite lesser stops will you agree with me? The very wise STEEM creators envisions this platform as owned-by-ALL, shared-with-ALL, growth-for-ALL. I would like to join in my own God-given capability and ask everyone, how about an off-grid power source that is working non-stop 24 hours a day even without solar or wind around? How about we apply it to lighting for all homes no matter the location? Why not continue on to powering other endeavors once mass-accepted as true in its simplest form? Why don’t we all share in this knowledge and quest for real freedom? Why not we all do this now, really. 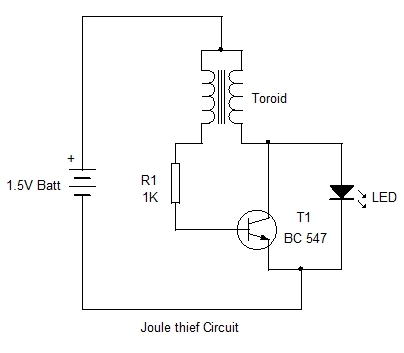 I will be “exposing” this very simple circuit in my next posts and will do all my best to keep it as simple as possible, like explaining to elementary kids. For the advanced-in-knowledge ones, I am also hoping that their expert knowledge of circuits and electricity will bring this further to the level of the power plants, which means this tech is for everyone big and small (but let us not let the big ones dictate us the small ones on how and what we will do with this tech hahaha). I will detail my journey into this mysterious circuit (6 years and counting with this simplistic circuit? Are you kidding me?!!!). Yeah, did I mention the sleepless nights deep-thinking for the next variations? I am by no means seeing myself as a scientific expert, I am just a backyard experimenter. If there is anything I can boast about myself, it is the number of times I failed, and each time I did, I just go to sleep and be refreshed the next day!!!! -How much of the world is lighted? No,No don’t just look at the map of continents, include the oceans please, because I just think this approach in lighting can light the seas, yes even under the seas. So how much in percentage really? -If in the future people grow plants indoors, or outside without the aid of full sunlight because of smog and pollution above and in the clouds, would a self-sustaining light source in every home be useful? -When we can light a bulb at low power (say 150 watts), can we not use the same power to other useful loads? Say, perhaps, a heater that generates hot water (not even boiling, but hot)? So, if we have hot water daily, can we imagine people at the farthest continents and coldest places on earth sleeping tonight shivering in the cold? -Did somebody say here STEEMIT is for everyone and will benefit each one together with the whole? -Did somebody say here that once written on STEEMIT, it is impossible to erase anymore and can be verified everyone due to the blockchain approach? Really really now? These are just some of the things worthy of this quest, I am just hoping you as the reader can feel the possibility now, because you are reading this on STEEMIT. Welcome to Steem Community @lightingmacsteem! As a gentle reminder, please keep your master password safe. The best practise is to use your private posting key to login to Steemit when posting; and the private active key for wallet related transactions. Thank you for this reminder. This will be on my to-do list rest assured. Great post! I look forward to your research into an off-the-grid power source! Thank you so much! Enjoy the ride as we unravel this approach, this is for everyone I can assure you. Regards. Greetings lightingmacsteem, I hope you enjoy it here! Thanks...... I am now your follower as well. Welcome to Steemit. I have really enjoyed the community so far. It is a good place to share ideas and thoughts. Thanks for sharing yours. I look forward to reading more. Good to meet you @lightingmacsteem. If I can help you on your quest, never hesitate to ask. Welcome to steemit @lightingmacsteem. Show me your best work here, I think in this steemit we can be an introductory event, to know more friends who live outside our country, and to communicate well with them, my best regards @ibel20 newcomers in steemit. thanks. Hi dear friend, welcome to Steemit. I want to welcome you on this amazing platform. If you have any questions concerning how to start here do not hesitate to ask, I will be more than happy to help you as much as I can. I am a spiritual leader here on steemit, should you need to read God's word or receive a prayer, you are welcome on my blog as well. Thank you for your encouragement, if I may be very honest with you, I am here now because of a prompting from inside. I can only attribute this to be like a programmed timer that triggers when the right time comes. I admire what people like you do to our world. Thank you so much for the encouragements. I will do my best on STEEMIT. Very interesting circuit. To be clear, it doesn't create any energy, right? It just allows small amounts of energy to be used more quickly? The output voltage is increased at the expense of higher current draw on the input, but the integrated (average) current of the output is lowered and brightness of a luminescence decreased. That's what I got briefly from Wikipedia. Thanks for your interest. Actually it is not creating energy, it just transforms energy as it runs, or to be more precise, it just "transfers" the energy. So stay tuned for the next posts, I am sure you will find it amazing......... Regards. Thank you, I am honored to be part in this great platform. I will do my very best. Fascinating! I'm looking forward to reading more of what you have to share! Thank you so much for the encouraging words. I am planning to post daily, hopefully you can pass by. Regards. Wow, ECE mo? I am an ECE pod. Willing ku motabang ana hehe. Mao ba? OK man ko, maka help siguro ko. Ingna lang ko unsa inyu plano pod, ang akua ra pangayuon in return nga maka help pod mo naku diri nga ma resteem ni pirmi akua mga gipang post. Thanks! I needed this encouragement. Welcome to steemit! I appreciate your vision to make the world a better place, and your awesome dedication, devoting your free time to doing so. I am very happy to see people like you on steemit. The world really needs more people like you. Developing technology to allow us to overcome our human limitations is, by far, one of the best ways to make humanity move forward. Thanks man. I will do my very best.